Barranquilla or Bust now featured on InterNations! | Barranquilla or Bust! Barranquilla or Bust now featured on InterNations! 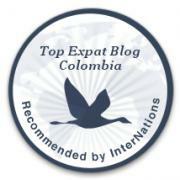 A few weeks ago, I received an exciting email from InterNations, requesting to feature Barranquilla or Bust as one of their recommended blogs for Colombia. Of course, I said yes! InterNations bills itself as a global community for people living abroad, and the organization lives up to the claim. When I moved to Colombia, becoming an InterNations member was a no-brainer because of all the resources the organization offers: forums, country and city guides, online networking, plus on-the-ground events. It’s an easy way to get much-needed info and to connect with others in similar situations. In becoming an InterNations featured blog for Colombia, I’m thrilled to join the ranks of Richard McColl (one of the editors of Was Gabo an Irishman?, in which I am lucky enough to have an essay), David of Medellin Living, Karen of Flavors of Bogotá, Naomi of How to Bogotá and other writers I respect. I also learned about some new blogs that I can’t wait to check out. Via email, an InterNations representative who lives in Munich but is originally from Medellín (see what i mean about the global community?) interviewed me as part of the blog feature. If you’ve ever wondered why I started this blog, or if you’d like to know my top three tips for people contemplating a new life in Colombia, look no further! Plus, you can read a funny story about how I managed to get my son’s Colombian birth certificate a little faster than usual. Check it out here. My sincere thanks to InterNations for the feature, and to you for reading. Here’s to community, no matter where in the world we find ourselves! P.S. If you’re curious for more background, I learned just yesterday that our Barranquilla House Hunters International episode is now available in full on Amazon Instant Video in Best of South America, Vol. 1! 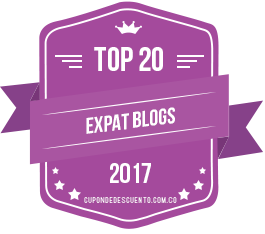 This entry was posted in House Hunters International, Making the Leap, Travel & Tourism and tagged adventure, barranquilla, Colombia, expat, featured blog, internations, Latin America, Medellín, south america, travel. Bookmark the permalink. Thank you very much, Virginia! So proud of you Court. Yes – I’m behind on my mail. Its been wonderful to follow you through your blog and now you are a celebrity!! Kudos.